Where is this seat from? It has the look of some Yankee Stadium seats I have seen. I am not saying it is from there, but you should look into it. Could this be a press seat? Not like any I ever saw in a press box. Unlikely. Perhaps someone here will know of similar seats used in specific stadiums / ballparks at some point, but I think it will be hard to say definitively that it was used in one in particular. 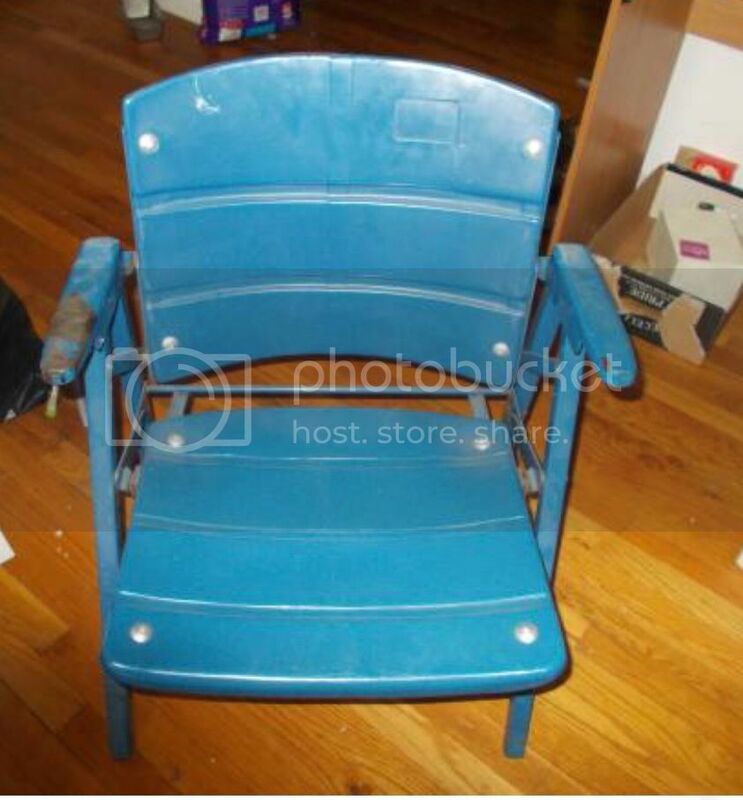 That is what the seller has said also, that’s it’s from Veterans Stadium. What threw me, was the armrest at each side, as though the seat stood independently and was not connected to another? It looks like it did stand independently. Veterans Stadium had a section of the lower stands that were not permanent. They were aluminum risers that they would take out during football games. I'm betting this type of seat was on those risers. Seats with both arms typically mean they can only sell every second seat. Sometimes arenas and stadiums will look to sell them in pairs, which means 2/3rds of the seats can move. The remainder are cut up and put into frames, or you can buy only the backs, or a single slat.